A.Urgent Need For Greater Understanding Among Nations and Civil Society of How Nations Should Formulate and ExplainTheir NDCs under the Paris Agreement. 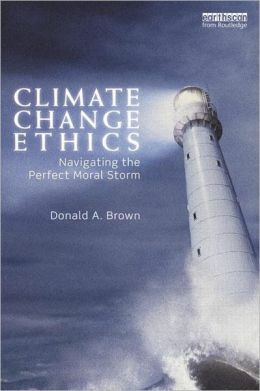 Research conducted by Widener University Commonwealth Law School and the University of Auckland concluded not surprisingly that when 24 governments identified greenhouse gas (GHG) reduction targets they ignored their legal duties to set a national target on the basis of preventing dangerous anthropogenic climate change, equity, and common but differentiated responsibilities in light of national circumstances under the United Nations Framework Convention on Climate Change (UNFCCC) and the Paris Agreement. In all cases, this research concluded that nations inappropriately took national economic self-interest into account in establishing their GHG reduction target. 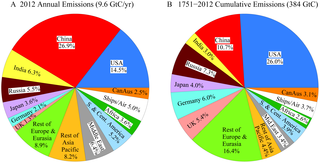 (Nationclimatejustice.org) while not clearly explaining how their GHG reduction targets were formulated on the basis of what was required of nations under law. This conclusion was not surprising to the researchers. But what was very surprising was that the vast majority of NGOs in these countries appeared not to understand how a nation should quantitatively formulate a target in light of its nondiscretionary and discretionary duties under the UNFCCC and the Paris Agreement. 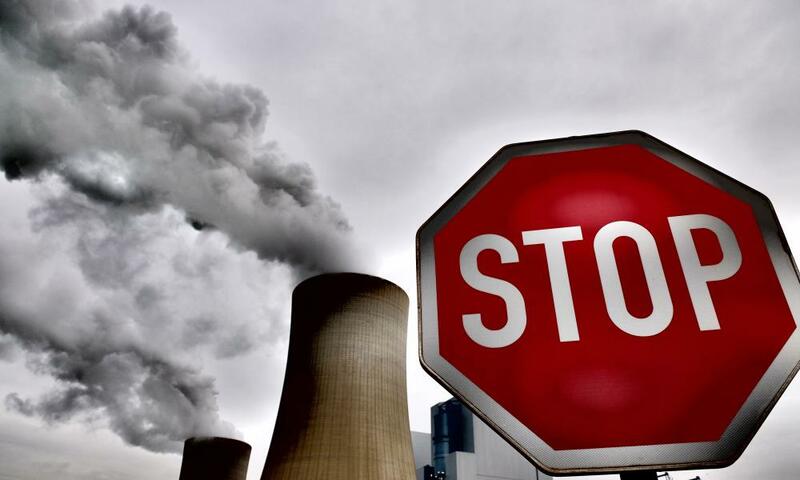 Without an understanding of how a nation should formulate and explain its GHG emissions reduction target, nations and civil society will not be able to effectively evaluate a nation’s NDC. It is this writer’s view that the widespread ignorance around the world about how a nation should set a GHG target is attributable to the fact that although nations have been setting GHG targets for many years, only recently have they had to expressly respond to the Paris Agreement’s warming limit goals and to in so doing take the equity requirements of the Paris Agreement seriously while at the same time being clear and transparent in how they responded to there obligations under the Paris Agreement. Up until recently, a nation could set a GHG target without considering how much of a shrinking carbon budget that remains to achieve a warming limit goal the nation was going to allocate to itself on the basis of equity. 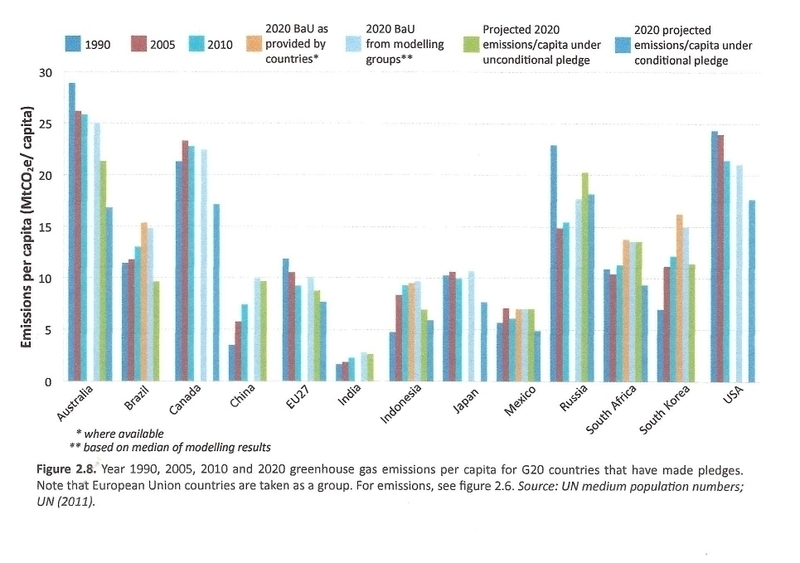 Very few nations, if any, have expressly formulated their national GHG reduction targets on the basis of a carbon budget that remained to achieve a warming limit goal. Because the Paris Agreement’s success depends on nations being clear and transparent in explaining how they formulated their Nationally Determined Contributions (NDCs) under the Paris Agreement, yet there is widespread ignorance around the world on how nations should formulate their NDCs to comply with their obligations under the Paris deal, there is an urgent need to help nations and civil society around the world understand how a nation should formulate its NDC to comply with their obligations under the Paris Agreement. To meet this need, a new paper describes 4 steps in detail that all governments should follow to comply with their legal obligations under the Paris Agreement as well as the information that nations should include with their NDCs about how they formulated their NDCs, which information is necessary to comply with the clarity and transparency requirements of the Paris Agreement. 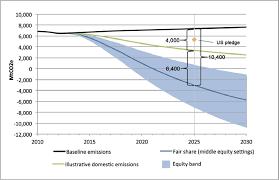 (1) Select a global warming limit to be achieved by the GHG emissions reduction target. The description of this step also explains the need of nations to explain why it chose a warming limit goal greater than the 1.5 degree C goal but no less than 2.0 degree warming limit goal. 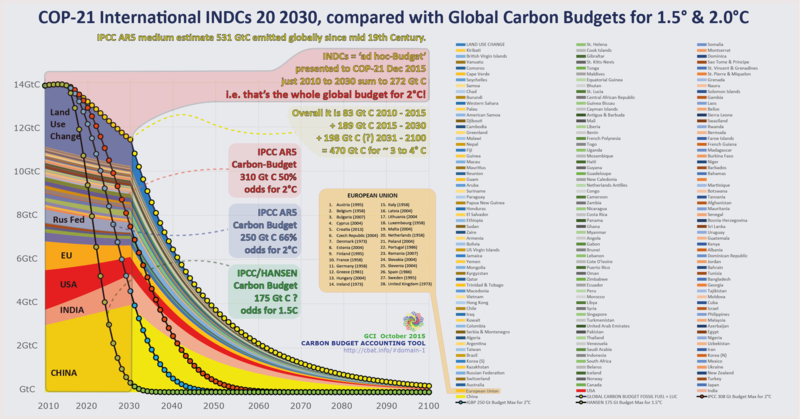 (2) Identify a global carbon budget consistent with achieving the global warming limit at an acceptable probability. 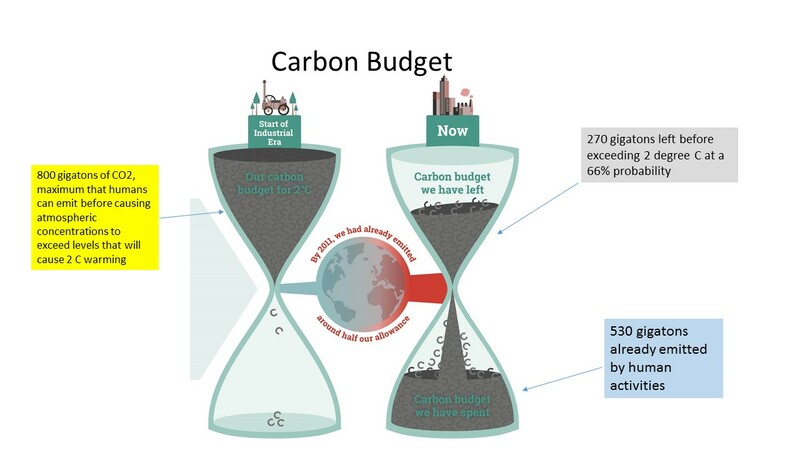 The paper includes a description of how a nation should identify a carbon budget to achieve a warming limit goal and other considerations relevant to identifying a carbon budget on which the GHG reduction target will be based. (3) Determine the national fair share of the global carbon budget based upon equity and common but differentiated responsibilities and respective capabilities. 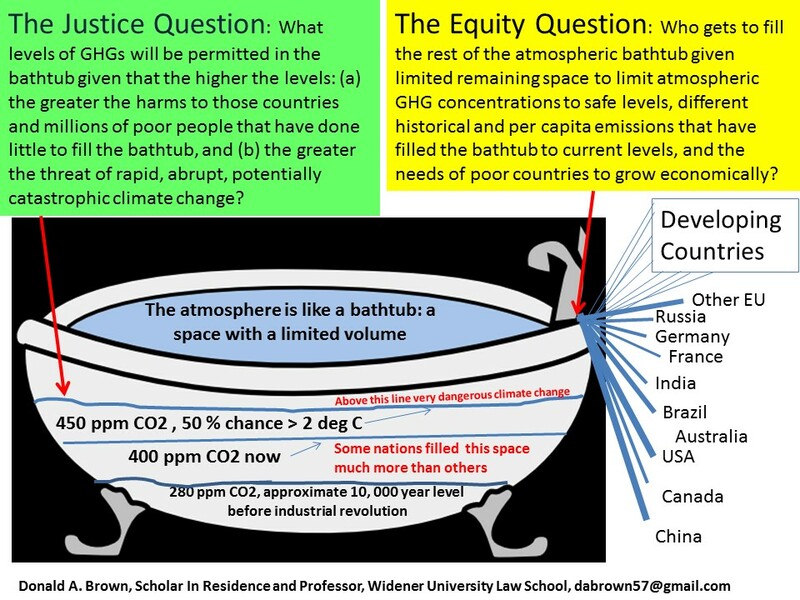 This section of the paper does not resolve all controversies about how to interpret equity under the Paris Agreement, although it does identify principles identified by IPCC that nations should follow in applying equity to guide their GHG reduction target and information that nations should include with their NDC that explains how they applied discretion in determining what equity requires of the nation. (4) Specify the annual rate of national GHG emissions Reductions on the pathway to net zero emissions.This section explains that because different amounts of shrinking carbon budgets will be consumed by how long it takes a nation to achieve a quantitative GHG emissions reduction amount, nations need to explain the nation’s reduction pathway over time to determine how much of a global budget available for the whole world the nation is allocating to itself. The paper also explains why expressly following these steps is necessary to ensure that a nation’s NDC is sufficiently transparent to allow the Paris Agreement’s “stocktake” and “transparency mechanism” processes achieve their goal of increasing national ambition if necessary to achive the Paris Agreement’s warming limit goals. In addition to describing the steps nations should follow in formulating their NDC, the paper includes a chart which summarizes information that should be supplied with their NDC when it transmits the NDC to UNFCCC, information necessary to make the Paris Agreement’s transparency requirementts work and information necessary to evaluate the adequacy of the NDC under the Paris Agreement. I’ve come here today, as the leader of the world’s largest economy and its second largest emitter, to say that the United States recognizes our role in creating this problem, and we embrace our responsibility to help solve it. He spoke in clear terms about the enormity of the climate change threat:. Our understanding of climate change advances each day. Human activity is disrupting the climate, in many ways faster than we previously thought. The science is stark. It is sharpening. It proves that this once-distant threat is now very much in the present. But the point is that climate change is no longer some far-off problem. It is happening here. It is happening now. Climate change is already disrupting our agriculture and ecosystems, our water and food supplies, our energy, our infrastructure, human health, human safety — now. Today. And climate change is a trend that affects all trends — economic trends, security trends. Everything will be impacted. And it becomes more dramatic with each passing year. But if those trend lines continue the way they are, there’s not going to be a nation on this Earth that’s not impacted negatively. People will suffer. Economies will suffer. Entire nations will find themselves under severe, severe problems. More drought; more floods; rising sea levels; greater migration; more refugees; more scarcity; more conflict. If we were to abandon our course of action, if we stop trying to build a clean-energy economy and reduce carbon pollution, if we do nothing to keep the glaciers from melting faster, and oceans from rising faster, and forests from burning faster, and storms from growing stronger, we will condemn our children to a planet beyond their capacity to repair: Submerged countries. Abandoned cities. Fields no longer growing. Indigenous peoples who can’t carry out traditions that stretch back millennia. 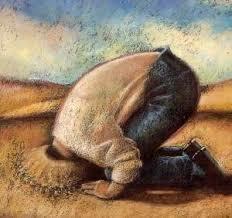 Entire industries of people who can’t practice their livelihoods. Desperate refugees seeking the sanctuary of nations not their own. Political disruptions that could trigger multiple conflicts around the globe. On this issue, of all issues, there is such a thing as being too late. That moment is almost upon us. And so President Obama admitted that: (a) climate change is a civilization challenging problem with dire potential consequences for nations and vulnerable people around the world, (b) the world is running out of time to prevent catastrophic warming, and, (c) the United States has responsibility for causing the problem. As we have documented in numerous articles on the disinformation campaign on this website, although responsible scientific skepticism is necessary for science to advance, the climate change disinformation campaign has been involved not in the pursuit of responsible scientific skepticism but in tactics that are morally reprehensible including: (a) telling lies about mainstream climate scientific evidence or engaging in reckless disregard for the truth, (b) focusing on unknowns about climate science while ignoring settled climate change science, that is cherry-picking the evidence, (c) creating front groups and Astroturf groups that hide the real parties in interest behind claims, (d) making specious claims about “good science”, (e) manufacturing science sounding claims about climate change by holding conferences in which claims are made and documents are released that have not been subjected to scientific peer-review, and (d) cyber bullying journalists and scientists. 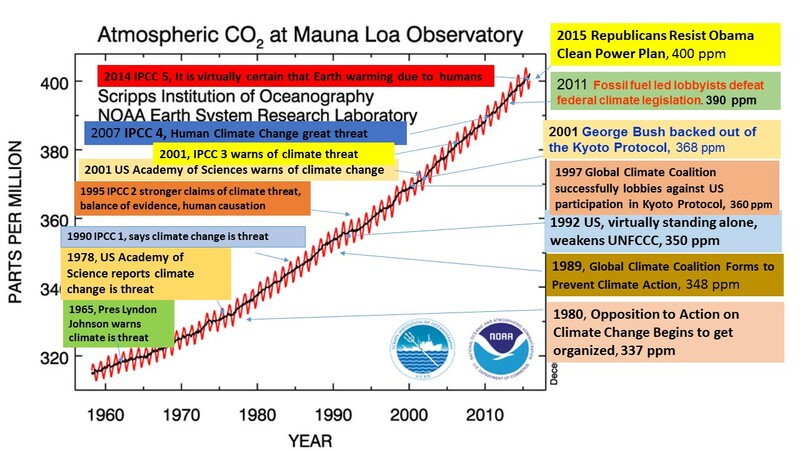 These tactics are not responsible scientific skepticism but disinformation. In the late 1980s, the European Union proposed that all developed countries should accept binding ghg emissions reductions targets. These targets would have likely been agreed to in the United Nations Framework Convention on Climate Change if the United States did not oppose them. The United States virtually standing alone prevented the inclusion of binding targets in the treaty which was finalized in 1992 and ratified by the US in that same year. 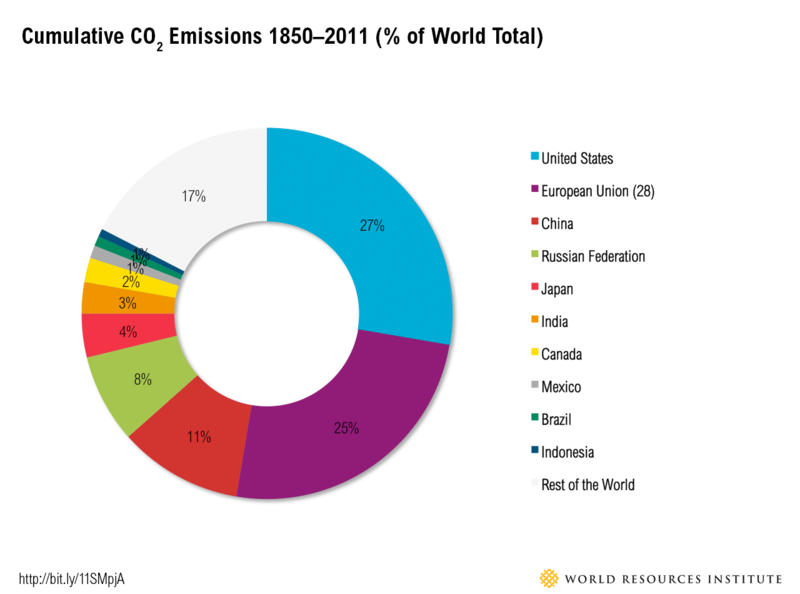 During the next 20 years, the US continued to block a meaningful global solution to climate change while being one of only a handful of nations that did not ratify the Kyoto Protocol, a treaty in which most developed countries accepted a ghg reduction target. During this time, the climate change disinformation campaign also successfully prevented enactment of meaningful US domestic climate change laws and policies. 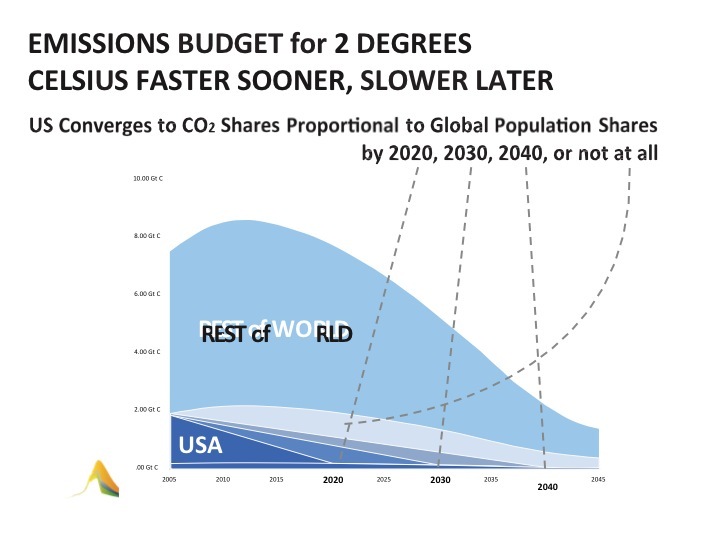 For the last several decades, US media has largely failed to cover the fact that the longer the world waits to make significant reductions in ghgs, the more difficult the problem becomes to solve. In this regard, the staggering enormity of the current challenge to the world to prevent dangerous climate change is rarely commented on in the US media despite the fact the 25 year delay in facing this problem has now made the problem a civilization challenging problem. For instance, James Hansen in a recent affidavit submitted in a legal proceeding against the State of Oregon asserted that the world must now reduce ghg emissions at a rate of 6% per year to avoid dangerous climate change. Yet as Hansen notes, if the world began to phase out of fossil fuel in 2005 the rate of reductions needed would only be 3.5% while waiting until 2020 will require a 15% reduction per year. Thus the delay in confronting climate change that is attributable to a large extent to the climate change disinformation campaign and its political mercenaries has made the problem much more difficult to solve with the result that harsh climate change impacts are much more likely. Because the harshest impacts from climate change will likely be experienced by some of the world’s poorest people in Africa,Southeast Asia, and other parts of the world, the damage caused by the climate change disinformation campaign may become a global catastrophe. And so the world is now facing a civilization challenging problem entailed by the need to rapidly reduce greenhouse gases to avoid catastrophic climate change. Although President Obama has announced administrative measures that would begin to reduce US ghg emissions, these measures are now being intensely fought by the climate change disinformation campaign and its political representatives and the Obama commitments still don’t represent the US fair share of safe global ghg emissions. In fact, in his August 31 speech, President Obama said after describing his climate initiatives: “But we’re not moving fast enough.” And now it may be too late to prevent huge climate change induced harms because the world has lost 25 years in reducing the threat of climate change in no small measure due to the United States opposition to a meaningful global solution. 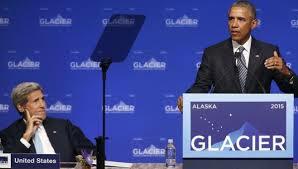 President Obama’s August 31 speech in Alaska implicitly acknowledged this conclusion. Yet the US media largely continues to fail to cover the enormous damage that has been caused by the delay in confronting human-induced warming . 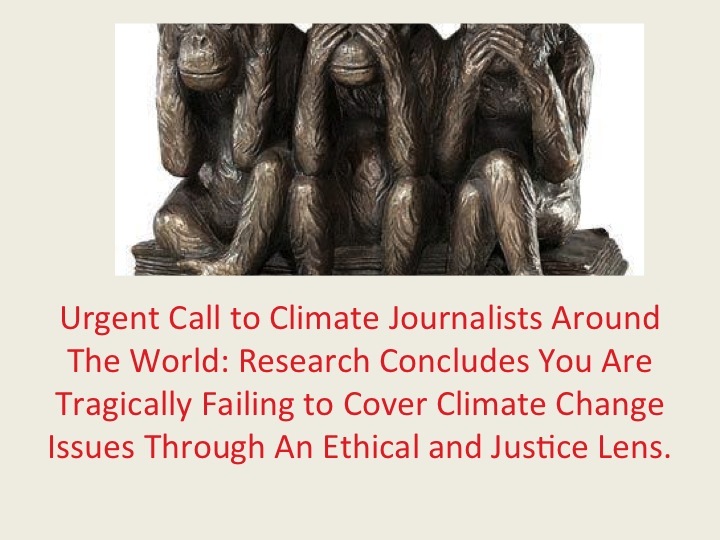 Editor’s Note: The lead author of the following article on the climate contrarians is Dr. Robert Nadeau, Professor Emeritus, George Mason University. 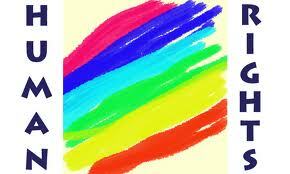 I am a minor contributing author. This article continues a series of 15 previous articles on the “Climate Change Disinformation Campaign” that can be found under that topic in the Index on this website. 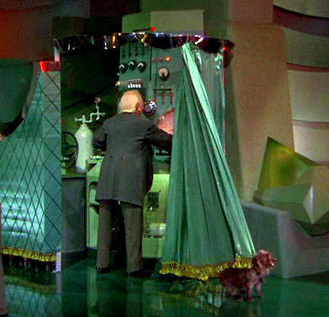 Crimes Against Humanity: The Genocidal Campaign of the Climate Change Contrarians. When scientists make presentations at meetings or conferences on the existing and projected impacts of climate change, they describe in jargon laden language and in emotionally neutral terms what their research has revealed about these impacts. But during informal conversations over a few beers during the evening or late at night, these scientists no longer feel obliged to divorce their scientific heads from their human hearts. On these occasions, they use colorful and often profane language to express their disdain and contempt for the small number of scientists known as global warming skeptics who are well compensated by conservative think tanks for misinterpreting and abusing scientific knowledge. 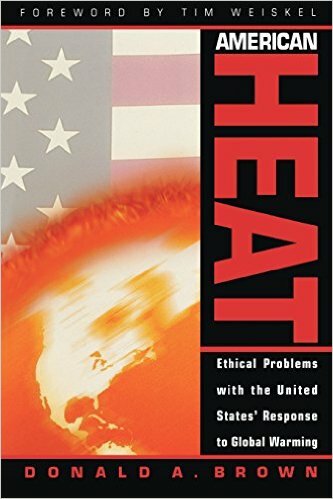 The scientists involved in these conversations also vent their anger toward the oil and energy companies that sponsor massive disinformation campaigns on radio and television designed to convince Americans that their security, peace and economic well-being are utterly dependent on the consumption of increasing amounts of “clean and plentiful” fossil fuels. They say unkind things about the mangers of the American news media for running endless stories about the human suffering and financial losses caused by extreme weather events and saying nothing about the fact that climate change is contributing to the frequency and intensity of these events. But if the conversation goes on long enough and the hour is late, one or more of these scientists will say what the others firmly believe but are reluctant to admit—the fate of the Earth is sealed by the ignorance, lack of compassion, and inexhaustible greed of its human inhabitants and life on this planet for our children and grandchildren will be little more than a brutal struggle for survival. The reasons why these empirically oriented rational thinkers have come to this dire conclusion are abundantly obvious in recent scientific research on the existing and projected impacts of climate change. This research has not only shown that massive reductions in worldwide emissions of greenhouse gases over the next two decades will be required to prevent the most disastrous impacts of climate change. It has also revealed that if we fail, as now seems likely, to accomplish this feat, there is a high probability that life on this planet for our children and grandchildren will be little more than a brutal struggle for survival. (Hansen et al. 2013) But as the scientists involved in the late night conversations know all too well, this research is largely ignored by the mainstream media, rarely discussed by political leaders and economic planners, and conspicuously missing in the rancorous public debate about climate change. The usual explanation why this insane situation exists, as climate scientist Michael Mann put it in a recent article in the New York Times, is that there is a “violent strain of anti-science” in this country which “infects the halls of Congress, the pages of leading newspapers and what we see on television.” (Mann, 2014) What Mann did not say in this article but knows very well is that the primary source of this infection is the well-financed, highly coordinated, and very effective campaign of the climate change contrarians. This campaign began in the 1980s when some of the same scientists that had been paid by the tobacco industry to challenge the scientific evidence that smoking is harmful to human health were hired by oil and energy companies to challenge the scientific evidence about climate change. 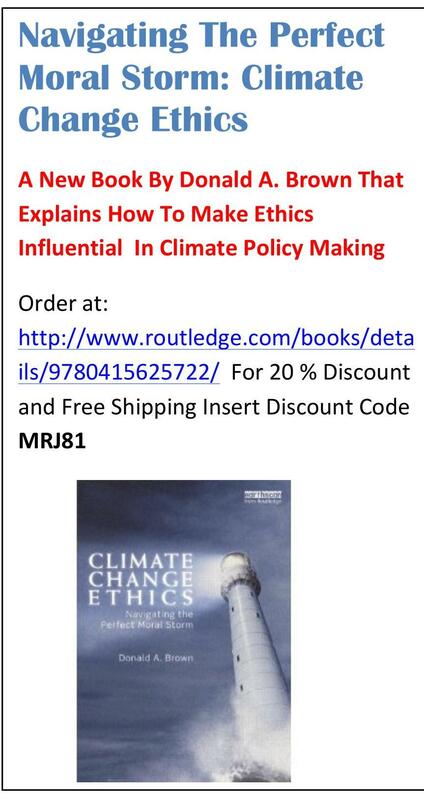 (Oreskes and Conway, 2010) The campaign greatly expanded during the 1990s after some increasingly vocal scientists warned that the threats of climate change were menacingly real and government must regulate emissions of greenhouse gases. (Pooley, 2014) The intent of the new coalition of free market think tanks, corporations, right wing conservatives, and billionaires with vested interests in the fossil fuel business was to accomplish one mayor objective. 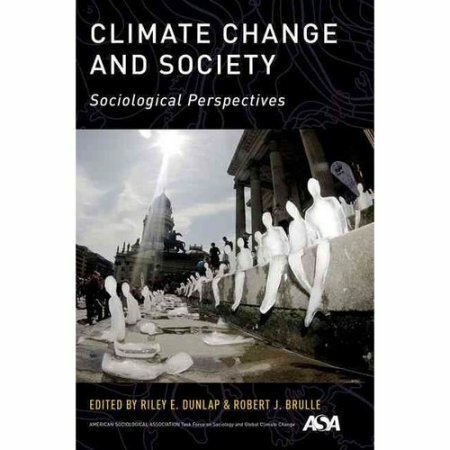 The objective was to convince the American electorate, along with their representatives in government, that there is no scientific basis for believing that climate change is a serious problem caused by human activities. Orwell also said that the tellers of Big Lies were capable of holding two contradictory truths in mind and believing in both of them. For example, the climate change contrarians repeatedly and earnestly claimed that they were great lovers of science, had enormous respect for scientists, and were only concerned about the uncertainties and lack of scientific rigor in climate science. And yet they launched a full scale attack on the personal and intellectual integrity of climate scientists, did everything possible to destroy their reputations and end their careers, and completely misrepresented and distorted their scientific research. For example, the campaign launched a full scale assault on climate scientists associated with the Intergovernmental Panel on Climate Change (IPPC) at the University of East Anglia in 2009 after their emails were hacked and widely distributed over the internet. Some of the emails in this “private” correspondence contained unkind words about research done by scientists in the employ of the petroleum industry and others contained statements that could be interpreted out of context as suppressing this research. But in the view of the climate change contrarians, these comments constituted sufficient evidence to charge all IPCC scientists with everything from professional misconduct to engaging in a conspiracy to suppress scientific research that was not in accord with their ideological and political agendas. Also consider what occurred after two climate change contrarians claimed that IPPC scientists made two scientifically inaccurate predictions about the environmental impacts of global warming in their 2007 report. One of these predictions, the Himalayan glaciers would disappear by 2035, was made in a 738 page working paper and did not appear in the 2007 report. The other prediction about crop failures in North Africa did appear in the background information section of the 3,000 page report but had no bearing whatsoever on the conclusions drawn. Nevertheless, the lawyers for the prosecution in the campaign of the climate change contrarians accused the IPCC scientists of committing fraud and coined the term “climategate” to refer to an alleged conspiracy to cover up or suppress the truth about climate change. The unacknowledged legislators of the climate change agenda in the United States are members of an organization known as the American Legislative Exchange Council (ALEC). According to the ALEC website, this organization is committed to “Jeffersonian principles of free markets, limited government, federalism, and individual liberty” and “works to advance fundamental principles of free-enterprise, limited government and federalism at the state level through a nonpartisan public-partnership of America’s state legislators, members of the private sector and the general public.” (ALEC, 2014) What the website does not say is that ALEC provides a forum for corporations to collaborate with members of state legislatures to create model bills which the legislators will later introduce and lobby for in their own legislature. The website also fails to mention that the model legislation is almost entirely written by the corporations and introduced by the legislators without any mention of the source. The poster children of the campaign of the climate change contrarians are 78 years old Charles Koch and his 73 year old brother David Koch. The Koch brothers are American oligarchs who preside over a vast financial empire and know from experience that money is power and can buy elections and set the political agenda at all levels of government. According to Kenneth Vogel, the “billionaire industrialists Charles and David Koch are among the most dominant forces in American politics, rivaling even the official Republican Party in its ability to shape policy debates and win elections.”(Vogel, 2014) The brothers managed to accomplish this feat by creating a vast network of politically active non-profits that operate in concert and have a shared ideological agenda. This network is so vast that a detailed diagram of its organization and money flows took up half a page in the print edition of the Washington Post. (Washington Post, 2014) Some of the better known groups in this network are Americans for Prosperity, Heritage Action for America, U.S. Chamber of Commerce, Americans for Tax Reform, and the Club for Growth. Like most of the other billionaires who support the campaign of the climate change contrarians, the Koch brothers have vested interests in the fossil fuel business. The bothers are 85% owners of a multinational corporation, Koch Industries, whose core business is the refining and distribution of petroleum and the manufacture of chemicals, fiber, minerals, fertilizers, pulp and paper. Koch Industries also owns 2 million acres of land in Alberta, Canada which contains enormous quantities of tar sands oil. The proposed Keystone XL pipeline would carry 800,000 barrels of tar sands oil per day from its source in the Boreal forest in Alberta to the Gulf Coast. If the pipeline is built, the Koch brothers and other billionaires in the fossil fuel business could realize billions of dollars in profits. Not surprisingly, the campaign of the climate change contrarians is doing everything possible to ensure that the pipeline will be approved by the State Department and President Obama. The message conveyed to the American people in advertisements on radio and television sponsored by this campaign is that tar sands oil is a safe and reliable source of energy and the Keystone XL pipeline will create jobs, promote economic growth, and help to free the United States from dependence on foreign oil. The campaign has also used its considerable resources to dominate and control the public debate about the pipeline and to ensure that virtually nothing is said in this debate about the scientific research on its potential environmental impacts. For example, there has been no mention to my knowledge in the mainstream news media that scientific research has shown that the process of extracting, transporting, refining, and burning of tar sands oil results in significantly higher amounts of greenhouse gas emissions than for conventional oil. (Biello, 2013) And only a few passing mentions were made in the back pages of the New York Times and the Washington Post of the results of recent scientific studies on the environmental impacts of these emissions. If the pipeline is built, the Koch brothers could potentially realize $100 billion in profits from the tar sands oil contained in the 2 million acres of land owned by Koch Industries in Alberta. The net worth of the brothers is now exceeded only by that of Bill Gates, Warren Buffet and Larry Ellison and ranks fourth in the world. 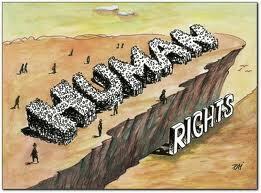 Add the potential profits from the tar sand oil and the net worth of the Koch brothers would rank first in the world. The question here is why two impossible rich old men would feel compelled to become even richer by dumping enough carbon dioxide into the atmosphere to create an environmental disaster that would imperil the lives of hundreds of millions of people. The answer, if there is one, is that the Koch brothers, along with virtually all of the other members of their network of politically active groups and shadow government, are true believers in market fundamentalism. In this quasi-religious belief system, there are two articles of faith that the true believers regard as transcendent and immutable truths. The first is that the dynamics of free market systems can resolve virtually all human problems, including the climate crisis, if they are not interfered with by government. The second is that the growth and expansion of free market systems lifts all boats and serves the greater good and the only legitimate role of government in the management of economic activities is to promote and enable this growth and expansion. This explains why the Koch brothers and the other participants in the campaign of climate change contrarians feel justified in buying elections and creating a shadow government that serves their vested interests and advances their ideological agenda. It also explains why they have no compunctions about subverting and violating the principles of democratic government and telling Big Orwellian Lies about the science of climate change. There are two definitions of crimes against humanity in international law that could apply to the campaign of the climate change contrarians. 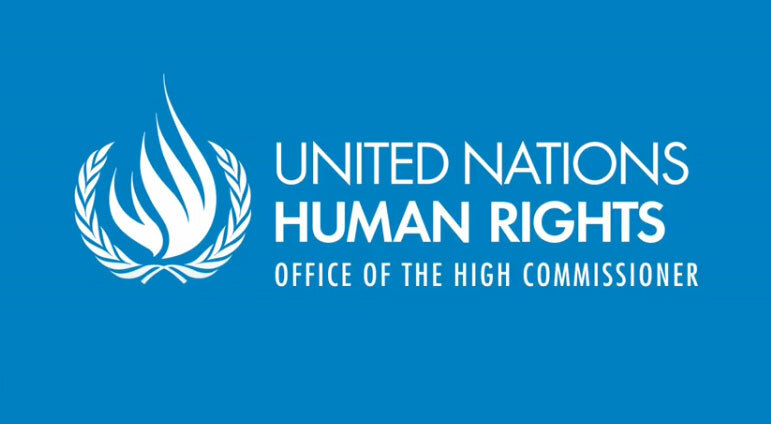 The first is “grave offences that are part of a widespread and systematic attack against a civilian population,” and the second is “inhumane acts intentionally causing great suffering, or serious injury to body or to mental or physical harm.” (Brown, 2013) -There is no doubt that the Big Lies told by the contrarians about climate science constitute a “widespread and systematic attack against” all of humanity. 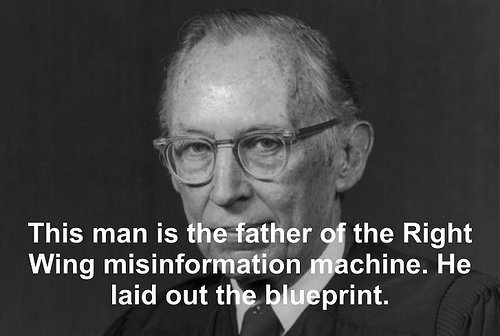 There is also no doubt that the contrarians were fully aware that they were misleading people in ways that could eventually result in “great suffering, or serious injury to body or to mental and physical harm.” It is not possible for a variety of reasons to charge the Koch brothers and the other contrarians in their vast network with crimes against humanity in the International Criminal Court at The Hague. 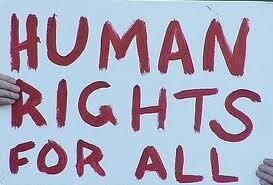 But we could at least begin to call them by a name that is more appropriate for those who have committed crimes against humanity. The soldiers in the volunteer army that wages the moral equivalent of war must not only be prepared and willing to publicly challenge the Big Lies told by the contrarians about climate science and to expose and ridicule the motives of the tellers of these lies. They must also be prepared and willing to fight all the battles required to replace the Koch shadow government with a government that will work tirelessly to prevent an ecological disaster on a scope and scale that is virtually impossible to even imagine. The weapons that will be useful in fighting these battles are protests, rallies, town meetings, boycotts, and political campaigns promoted and organized with videos, documentaries, films and web-based communications networks. Many people will be understandably reluctant for both personal and professional reasons to respond to this call to arms in a war compatible with their spiritual selves. But what is at stake in this war is not access to scarce national resources, the balance of power between nation-states, or the economic and political hegemony of the United States. It is a human future in which our children and grandchildren can live secure, rich and meaningful lives on a flourishing Earth. This is not merely the work of an age, but a work that could preserve the memory of all ages, and it hard to imagine that anyone could serve a greater good or answer to higher calling. David Biello, 2013, How Much Will Tar Sands Oil Add to Global Warming?” Scientific American, January 23, 2013. Broder, John, 2010, Climate Change Doubt is Tea Party Article of Faith, New York Times, October 21, 2010. 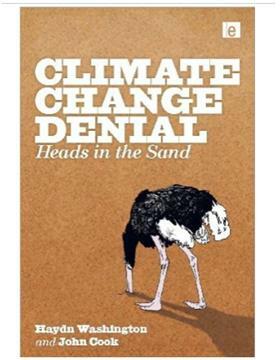 Hansen, J., 2012, Game Over for the Climate,”New York Times, May 9. 2012. James, W., 1902, The Varieties of Religious Experience, (New York: Longmans Green), p. 367. McIntire, Mike, 2012, Conservative Nonprofit Acts as a Stealth Business Lobbyist, New York Times, April 21, 2012. Mann, M., 2014, If You See Something, Say Something, New York Times, Jan. 17, 2014. 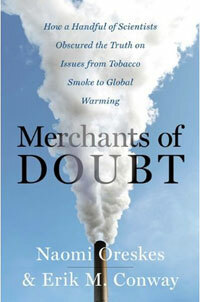 Oreskes, Naiomi and Conway, Eric , 2010, Merchants of Doubt, How a Handful of Scientists Obscured the Truth on Issues from Tobacco Smoke to Global Warming, Bloomsbury Press, New York, p. 39. Pooley, E , 2010. Climate Wars, True Believers, Power Brokers and the Fight to Save the Earth, Hyperion, New York, p. 39. Pilkington, Ed, 2013, Obamacare Faces New Threat at State Level from Corporate Interest Group ALEC, Guardian, November 20, 2013. Vogel, D., 2014, Koch World 2014, January 29, 2014, Politico, http://dyn.politico.com. Washington Post, 2014, An Amazing Map or the Koch Brothers Massive Political Network, January 6, 2014.